The capacity of Russian market of bottled kvass in 2012 is estimated at about ... mln dal by volume and ... bln roubles by value. These data have been obtained in the market research done by Deka. The sresearch was based on Deka's own indices, data from analytical agencies, partners' surveys (retail networks, logistic companies), as well as on data provided by other market players. In 2012 the market decreased by ...% against 2011. However, it is important to note that the market is still catching up after substantial fall in 2011, when the decline rates were about ...%. Such situation resulted from anomalous heat in summer 2010 which led to a dramatic upturn in kvass consumption as well as other drinks. The kvass market in 2010 grew by ...% at a blow. But if we consider the average growth rates over last five years, they would equal more than ...% per year. According to Deka, last year Moscow, where ... mln dal was sold, as well as Central and Northwest regions (excluding Moscow) which had ... mln dal sales, became the biggest kvass consumers. And Petersburg accounts for about ... mln dal of kvass. 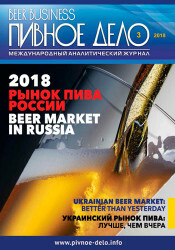 Russian kvass market by regions develops piecewise and depends upon weather conditions heavily. In certain years, there can be temperature peaks only in certain regions against national average temperatures or against rainy years in some regions. Thus, summer 2010 was anomalously hot in all Russia regions and in 2012 against anomalous heat in Eastern Ural and higher-than-average temperature in the Volga region, Northwest Federal District had anomalously cold and rainy summer, which affected the market development. Anomalously hot weather conditions promote kvass market development, and though next year the heat tormenting a region does not come back, the kvass market does not fall in the proportion to the growth during the heat. In 2012 the market grew by ...% against 2009, which confirms the general positive trend after the setback in 2010. Besides, the market decline was conditioned by decrease of advertising budgets in the category of kvass of major producers. By the end of 2012 the advertising expenses shrank nearly by 20% against 2011. The expenditures in the sphere of trade marketing (price offers, pallet display, bigger volume offering and so on) were cut. In 2013 company Deka makes a positive prognosis for the kvass market development. If in summer the temperature does not fall below the average, the biggest kvass markets, namely, Moscow, Center, Northwest of Russia are likely to demonstrate ...-...% growth. And the level of kvass consumption will in any case increase in the South, Ural, Siberia and the Volga region. These regions are experiencing an extensive development, resulting from relatively low level of kvass consumption and retail chains expansion. In general, year 2013 can bring ...-...% growth. According to Deka estimation, 2012 was characterized by a share growth tendency of regional players in the kvass market. The share of top-5 players in the kvass market reduced a little bit and by the end of 2012 equaled ...%. In European part of Russia, where the bulk of leading brands sales takes place, the temperature was average and lower than average. And in the Eastern part of Russia, the temperature was on the contrary higher than the average. And local producers dominate the kvass market in the Eastern Ural. Company Deka is still the biggest kvass producer in Russia having a share of 38% by the end of 2012. Deka produces six brands of the major by volume ten brands, which secures company's leading position as a producer in the kvass market. Under our estimates, in 2012 the dynamics of kvass Deka output corresponded to all Russia trend of major producers, the company somewhat cut the natural volumes of production, which comprised about ... mln dal. However, due to the fact that the immediate competitor of Deka declined beer output, the company kept unrivaled leading position among producers. According to the company message, the total volume of drinks output reached about ... mln dal, which corresponds to the level of the last year. Over the year the share of kvass fell by ...%, which is connected with concluding a large contract for production of a private beer brand for network Diksi late in 2011, as well as with increased production volumes of beer Brigadirskoye for Х5 Retail Group. "In the future the beer share will grow. The steps which have been recently taken by the government for the reduction of beer consumption by the population are expected to result in the crucial role of a product shelf location in the moment of product selection. Thus, the awareness of beer brands will decline which will promote private labels development"- Natalya Starshinova, marketing director supposes. Last year Deka concluded a new contract with PepsiCo, under which it continues producing kvass Russkiy Dar for the international company. According to the company message the conditions of cooperation of Deka and Pepsi will not change in principle, but the details of the agreement are not disclosed by the two parts. For the first time a co-packing contract with PepsiCo was signed by Deka in 2009, and kvass Russkiy Dar production began in March 2010. Besides, last year saw sales volume growth of private kvass and beer labels, thus, supplies of private labels grew by ...%. Late in 2012 the bulk of production under private labels accrued to kvass (...%) and the rest ...% to beer. And the share of private labels in the total drinks production volume of the company grew in one year from ...% to ...%. The production volume of private labels at plant Deka increased year over year. Thus in 2011 the total supply gain comprised ...%. "Development of partnership with networks producing private labels is one of the important strategic directions. By now the company achieved the optimal balance between the production of private labels and the brands belonging to Deka. The contract production of private labels allows us to give additional workload to the plant without damage for Deka's brands and to get maximally profitable conditions of raw materials purchase and logistics. Plus, we can promote our labels in retail networks", says Natalya Starshinova. In 2012 Deka started outputting a new juice containing drink Lesok which let them enter a new category of functional carbonated drinks. Besides, for the first time the production of beer and kvass in kegs (earlier, in 2011 the company produced beer for cisterns). The general volume of sold beer in 2012 grew by ...% and the proceeds (without taxes) increased by ...%. According to the company's message, its proceeds in 2012 reached ... bln roubles against ... bln roubles in 2011. EBITDA index increased by ...% to ... bln roubles. The growth was attained due to significant expenses reduction. In particular, the company cut the regular production expenses as well as the transport logistics and marketing costs. As Deka informs, its promotional campaigns were local and target-focused. "The company had a successful year. In spite of the kvass market reduction, we managed to keep our leading positions and to raise effectiveness and profitability of our operation. Deka had a more resource-saving policy operation in the falling market, thus, it cut expenses and optimized resources. This allowed increasing marginality of all product range by ...%. We entered a new high potential drinks category, which will grow in the years to come. In the current year we expect a break in tendency of kvass market decline and the recovery of growth at the level of ...-...%", stated Andrey Manskiy, Deka chairman of the board. Ochakovo can also be considered as the market leader, if we evaluate its positions basing on the share of its own brands. Ochakovskiy brand was a pioneer in the kvass category and remains the most popular kvass brand in Russia, having a share of 30%. The main plant of Ochakovo is located in Moscow, the largest market outlet. But the branches in Penza, Krasnodar territory and Tyumen supported the company's dynamic growth in the period of regional markets development. High production potential of the main plant in Moscow facilitates its output increase in summer. For example, in 2010 when kvass consumption grew sharply, Moscow plant expanded its production from ... to ... mln dal. The production peak was reached in July 2010, when about ... mln dal of kvass was bottled. If we base on this figure, then the maximum yearly capacity of the plant comprises ... mln dal. Generally in Russia according to company information, the total kvass sales by the end of the season in 2010 grew from ... to .. mln dal. The location of the main production site is an advantage of the company, as the capital population consume about a third of kvass produced in Russia. And here the company controls about ...% of sales, which makes it possible not only to get the full workload, but also to obtain a big margin and minimize logistic expenses when the sales volumes are large. However, focusing on the capital market has its negative side. Firstly, the monobrand is constantly attacked by new kvass labels which are gaining popularity, while Russian kvass market is growing ever less consolidated. Deka and the three transnational companies will inevitably expand their presence in Moscow trying to shake Ochakovo out. Secondly, as three fourths of the company sales accrue to one local market, weather fluctuation can yield not only bonuses but failures in sales and production as well. This is what happened in 2011, when kvass output in Moscow shrank to ... mln dal, having virtually returned to the level of 2009. The sales of other producers went not so low, which resulted in perceptible reduction of Ochakovo market share. The season of 2012 was not much different from the previous one, so the production dynamics of the company was moderately negative, thus, the output reduction in general at all company's plants amounted to about ...% to ... mln dal, which can not be considered either good or bad result as compared to all-Russian dynamics. Moscow plant of the company in 2012 output nearly ... mln dal of kvass. We should mention that Ochakovo is the major Russian kvass exporter, accounting for ...% of kvass export supplies. However, against the general production scales of the company these volumes are not large, that is, ... mln dal in 2011 and 2012. Kvass Khlebniy Kray is the first federal non-alcoholic beverage in Russian portfolio of Carlsberg Group. Khlebniy Kray has been produced since 2009 at Baltika plants in Tula, Saint-Petersburg and Novosibirsk. 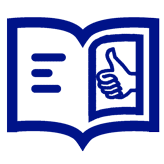 The brand comprises two sorts, namely Khlebniy Kray Traditsionniy and Khlebniy Kray 7 Zlakov. 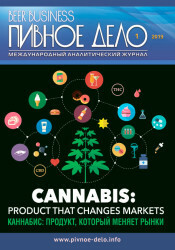 Soon after the launching, owing to a particularly well-developed distribution network of the company, Khlebniy Kray became available throughout Russia and showed a dynamic increase in its market share. If in April 2009 it constituted 0%, then following the results of 2009 it made up ...-...%. According to our estimation, in 2010, given the extremely hot weather, the production and sales of Khlebniy Kray amounted to approximately ... mln dal. About ...% of kvass was produced at Tula plant, which supplies the Central region of Russia. The following 2011 year can also be regarded successful for the company's activities on the kvass market. Although neutral weather conditions accounted for a decrease in Baltika kvass production, having comprised about ... mln dal, Khlebniy Kray still did not reach its market potential, as Baltika production showed a less significant reduction than industry-wide indices. As a result, the company increased its market share, having gained ...% according to our estimation. However, in 2012 kvass market declined due to less favorable weather conditions in European part of Russia and segment competition increased. According to our estimation, Baltika significantly expanded its production of kvass in Novosibirsk and in Tula, where the volume increased by approximately ...% almost up to ... mln dal. But a decrease in Saint-Petersburg by almost ...%, to ... mln dal, resulted in general negative dynamics of Baltika production, which turned out to be twice as weak as the production and sales rates country-wide. This situation can be explained by a noticeably colder summer of 2012. Average day temperature in June-August 2012 in Saint-Petersburg was ...% lower than in 2011. While there were long sunny periods in 2011, in 2012, however, there were only several hot days. Historically, PepsiCo worked symmetrically with its main competitor in the drinks market, namely Coca-Cola. Thus, the entry to kvass category of the two non-alcoholic giant companies happened simultaneously, in 2007. Generally, PepsiCo start looked even more successful, as the company did not create its label from scratch, but started distributing kvass Pershin, which was already popular. But corporative, financial and productive problems of the brand owner, company Eugene Boujele Vine made PepsiCo cancel the contract in 2009. However, if not for these problems and the contract for Pershin distribution was valid, anyway Coca-Cola would have outrun the competitor sooner or later' as it was very active in promoting its kvass. Obviously Coca-Cola budgets were incomparable to marketing expenses of Eugene Boujele Vine, which reflected on the market positions of the two companies. Such course of events is not likely to have satisfied PepsiCo. Having lost the brand but acquired experience and "tasted" kvass as a category, PepsiCo began all over again and organized a contract production under its own brand. As early as in April 2010, retail supplies of new kvass, namely Russkiy Dar, were started. At that time everybody learned that the kvass was bottled under a contract at Deka capacities. As soon as in the second season it entered the list of the leading brands, having won ...% of the kvass market and occupied the third place alongside with Khlebniy kray by Baltika. The kvass market had not seen such blitzkrieg before. Even Baltika achieved the comparable share over three years. Such a rapid growth was pre-conditioned by rather developed distribution system of alcohol-free drinks (in 2011 PepsiCo took the leading position in this category), by active promotion of the launch as well by a contract with a major kvass producer. Certainly, the rapid growth of the market share can be in the first place explained by the fact that the active stage of brand growth took place in 2011, when the market underwent correction. While most of the companies registered a two-digit decline in sales, the physical volumes of kvass Russkiy Dar grew nearly by ... times. having under our calculations exceeded ... mln dal. But the original for a kvass producer step could have also made its contribution. In winter 2010, when marketing activity of kvass producers freezes, PepsiCo launched a subbrand Russkiy Dar Cranberry. The promotional campaign was specially organized to stimulate off-season consumption of the beverage, but naturally, it helped the viewer not to forget the brand image till the season of 2011. In 2012, Russkiy Dar to a significant degree realized its market potential and its market share and sales remained on the same level. The agreement on the co-packing between companies PepsiCo and Deka was prolonged till 2013. "We are very much satisfied by the cooperation with PepsiCo and find the conditions of the new agreement to be profitable for both parts. The kvass bottling for the second world producer of beverages gives us additional opportunities for development and promotion of our own labels. We expect next year to see further expansion of Russian kvass market thanks to inter alia our partnership", Andrey Manskiy, Deka chairman of the board commented on the contract conclusion. Siberian citizens did not enjoy summer heat up to 2012. The year 2010 was cold and there was much rain in 2011. But the previous summer in the Siberian Region turned out to be so hot that June and July exceeded average monthly temperature for the first time in the history of weather observation in the Siberia. Without doubt, such conditions, favorable for kvass manufactures, had a significant influence on their sales. As for Tomskoye Pivo, we can provide only an approximate estimation, based on regional trends, as due to some reasons kvass supplies in Tomsk region have not been covered by Rosstat. In 2012 the company might have increased its kvass production rate from ... to approximately ... mln dal. At that Tomskoye Pivo share on Russian market increased from ... to ...%. Besides, according to our estimation, kvass share in the structure of production and sales of the beverages, produced by the company, must have increased from ...% to approximately ...%. This estimation has been made taking into account hot weather which made manufacturers increase beer production, but to a lesser extent, by about ...%. It is possible to suggest that Tomskoye Pivo is currently making an effort to compensate for low indices of the season 2010. As for kvass market, over the last years Tomskoye Pivo concentrated on the maintenance of leading positions, gained in the neighboring regions. And there were two main areas of sales growth. The first one is the improvement of keg Blagodey positions and the second one is geographic expansion by means of increasing PET sales. To implement this program Tomskoye Pivo has rearranged its beer division. The company has also been doing its best to maintain year-round distribution of Blagodey, carrying out its marketing and PR-support. Since the moment of kvass Kruzhka i Bochka launching in 2007, Coca-Cola has been showing a dynamic increase in kvass segment. But taking into account extremely complex technologies of fermentation kvass production, Coca-Cola had to place orders at brewing plants. Two mid-level brewing plants, namely Brau Servis in Tver and Samko in Penza became its partners. As long as kvass market was small and unsaturated, the market share of Coca-Cola was quickly growing. According to data, provided by Business Analitika, during the first half of 2010, the company took ...% of the market in volume terms and ...% in money terms. However, within the same season, of sales Coca-Cola partners faced a shortage of producing capacities, while other players on kvass market managed to involve significantly greater amount of production facilities. As a consequence, following the result of 2010 the market share of the company reduced and according to our estimation, it kept decreasing in 2011. Approximately the same amount of kvass as in 2011, was produced in Penza following the result of 2012, which constitutes about ... mln dal. Against the background of total decrease in production volume of all the leading manufacturers, neutral dynamics can be regarded a decent result. The data on kvass production in Tver region are not available, though the total shipment of non-alcoholic beverages has reduced there by ...%. Proceeding from these data and estimation of the market players, it is possible to draw a conclusion that the share of the company reduced from ... to ...%. Coca-Cola takes the advantage of the well-developed distribution system, which renders it possible to redistribute the sales to the benefit of the regions, where the demand is currently higher. The company can afford high delivery expenses as its kvass brand corresponds to the expensive market segment. But at that the company limits the growth of its margin and market share in natural terms. However, Coca-Cola produces kvass in two regions, which provides possibilities for the improvement of logistics. Cheboksary company Buket Chuvashii is a fairly large regional manufacturer of beer and beverages and currently it is the monopolist on the market of kvass in the Chuvash republic. According to our estimation, in 2012 company Buket Chuvashii increased kvass production by ...% to ... mln dal, which means that it achieved the level, successful for all manufacturers of 2010. The share of the company on the national market increased from ...% in 2010 and 2011 to ...% in 2012. The company has a quite diverse product range, which includes two fermentation kvass brands Buket Chuvashii and Slaven, represented by 6 sorts and also two brands of kvass beverages. Kvass is bottled into cans and PET of the capacity from 0.5 to 4 l. The price of the product corresponds to economic and mid-price segments. Reasonable price, well-developed network of distribution in the region and high popularity with local kvass lovers provide the company with ... of kvass and kvass beverages market of the Chuvash republic. As the case may be, kvass production, carried out by the company, fluctuates along with the regional market and depends, for instance, on such a trend as substitution of kvass beverages consumption with natural kvass. Though, due to relatively low logistic expenses, federal manufacturers are gradually increasing their presence in the Chuvash Republic. According to our estimation, kvass is currently covering about one third of the total volume of beverages production of the enterprise. 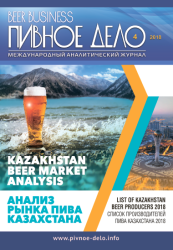 Competition and government control measures on the beer market can stimulate both the development of Buket Chuvashii kvass segment and the regional expansion of the company. Kvass Pershin was launched in 2004 as a supplement to the already existing Vine and sbeeten business Eugene Boujele Vine. At the same time, Pershin is owned by one of the stockholders of the beverage plant which began production in Sasov, Ryazan region. Quality control and advertising campaigns made the brand well-known to kvass lovers. In 2007 Eugene Boujele Vine chose the direction of strategic partnership and conveyed the right of its kvass distribution to PepsiCo. The following year turned out to be "triumphant" for Eugene Boujele Vine as the company became the third leading player on the kvass market with a share of ...%. According to our estimation, kvass Pershin production volume comprised about ... mln dal in 2008. However, a recession in consumption and financial difficulties became fatal for the business. Multiple creditors of the company filed a bankruptcy petition and PepsiCo canceled kvass distribution contract. By the end of 2009, its production ceased and the brand disappeared from retail sales. Following a long-term production downtime, caused by a change of owners and measures aimed at the repair of equipment and facilities, in 2012 Kvass Co signed a license agreement with the right holder and renewed the production of kvass Pershin. According to Kommersant, the enterprise is owned by the bank Evrofinans Mosnarbank, which was one of the largest creditors of Eugene Boujele Vine. Last year the bank intended to sell the plant, having estimated its value at $...-... mln, though consequently decided to keep it. On its official site the company KvassCo Bottlers announces about its "stable financial status and reliable financial partners whose support makes it possible to elaborate long-term strategy on the development of Pershin and the company as a whole". According to our estimation, in 2012 KvassCo Bottlers increased the volume of kvass production in ... times to ...-... mln dal. That is, the company's market share comprised about ...%, which is twice less than the indices of its immediate competitor, Coca-Cola Company. However, KvassCo Bottlers is full of determination to restore the lost positions of its brand. That is why it has signed an agreement for the production and distribution of kvass Pershin with the company Visma. As the general manager Yana Tolokonnikova told to Kommersant, KvassCo Bottlers plans to take Pershin back to the third leading rank on the kvass market, which the brand held prior to the downtime. As she explained, Ryazan plant can produce ... mln dal of beverages a year. In 2013 the company intends to produce ... mln dal. Marketing director of Visma Alexey Voinov believes that it is possible to make Pershin one of the top five manufacturers on kvass market within the current year and to fight for the third rank in the following year. Although the plans concerning such sales volumes are challenging, they are based on Visma distribution system, which involves ... distribution partners, as well as own trading houses, located in the large regional centers and in-house team, carrying out direct sales.